AirMech Strike is fast paced Action RTS that can be played like Dota or Starcraft--you can battle on the ground or command from the skies! PvP in 1v1 or 2v2 with an army you build to fight alongside you. 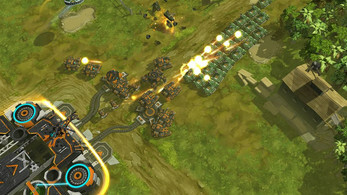 Command from above, dogfight with other players, or wreck things on the ground in mech mode. Level up ingame similar to Dota style games, build your army as if you were playing an RTS, or anything in between! Team play means every player can play a role while still helping their side win. In the future, the last survivors of the Great War continue their fight with the ultimate war machine: the AirMech. Created using lost technology, Pilots have found, salvaged, or stolen AirMechs that they use to protect the weak, or to pillage. Which side do you fight for? 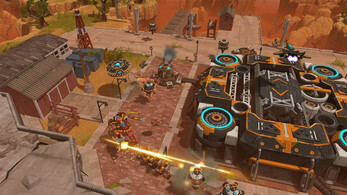 Action-RTS Transformed: DotA-style gameplay with transforming robots each with their own unique stats and abilities. 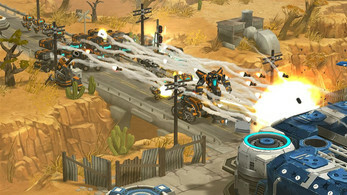 Fast paced action and shorter game lengths keep the battle intense! Customize Your Army: Choose your AirMech and your Units to take into battle and help your team claim victory. 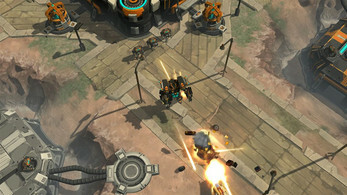 Also unlock custom Variant AirMechs (skins) to have a unique look ingame. 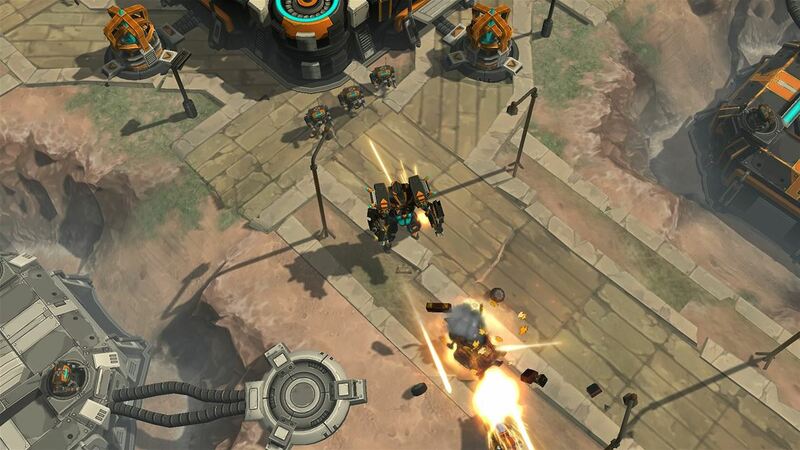 Different Game Modes: Play PvP either 1v1, 2v2, or play Custom games up to 3v3 with players or against bots. Challenge modes let you test your skills in time trials. Control Options: Supports both mouse/keyboard and Xbox 360 gamepad (in progress). Mouse/keyboard controls can also be completely customized for personal preference. You're coming through loud and clear! 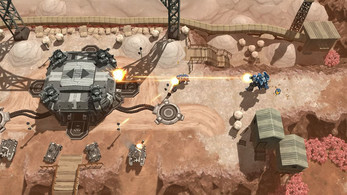 Code is used inside the game Shop and works with both the PC and Steam versions of AirMech Strike. Note it is NOT a Steam key, you use it inside the game.